Our team consist of highly trained and accreditation therapists with a dedication to continued professional development and supervision. Counselling | Professional Supervision | Hypnotherapy | Management Coaching | EAP (Employee Assistance Programs) | School counselling programs | Children, Adolescent, Adult and Aged counselling services. Suzanne began Emerald Tree Counselling in 2007. Since then Emerald Tree has grown in many ways but remained dedicated to the provision of excellence in assisting the Geelong community with quality and skilled treatment for life transitions, mental health concerns, and health conditions. Suzanne is proud to have founded a practice that has become well known for its quality services, boutique feel and renown client experience. Suzanne provides services for individuals and family carers with neurological disorders around adjustment, grief counselling and service system advocacy. Suzanne also provides assistance to allied health professionals in this area with Supervision, compassion fatigue and Employee Assistance. Suzanne continues to also see general clients for life issues and adjustments such as separation, narcissistic relationships, family trauma and divorce. 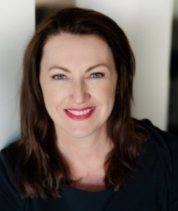 Naomi Adams is a Psychologist, qualifications include Graduate Diploma and Post Graduate Diploma in Psychology; Bachelor of Human Services (Social Welfare); and Cert IV Community Services – Alcohol & Other Drugs. Naomi have 16 years’ experience working as a Counsellor with adults, older adults, adolescents, couples, and groups. Naomi has a Therapy dog Roxy, Roxy works with Emerald Tree Psychologist Naomi Adams, providing Animal Assisted Therapy (AAT). Andrew Golding is a psychologist with experience conducting both individual and group therapy. Andrew, "Andy", has worked with individuals experiencing a variety of psychological difficulties and conditions including but not limited to Depression, Anxiety, Attention Deficit Hyperactivity Disorder, adjustment difficulties and trauma. Andrew is well versed in several psychological treatments and models, in particular Cognitive Behaviour Therapy. Andrew has a particular interest in working with adults on the Autism Spectrum. He enjoys building positive relationships with these clients to allow them to assist themselves in becoming more confident and personally empowered within their everyday lives. In his work Andrew brings a positive, caring and good-natured attitude, as well as a creative view on problem solving. Julia Firth is an Accredited Mental Health Social Worker providing clinical counselling to children, young people and their families. Having worked in Child Protection, community based Family Services and clinical counselling settings, I have a wealth of experience in working with families who are experiencing challenging life circumstances. I work from a child-centred family-focused approach in partnership with children, young people and their families to assist them in identifying, valuing and mobilising their personal strengths and building resilience. Julia’s clients range from newborn babies to adolescents and their parents or carers who are experiencing emotional, behavioural, developmental and/or social issues. Frances is a Counselling Psychologist who works with individuals experiencing anxiety, depression and trauma with a focus on those who have sexual concerns. Coping with sexual issues for individuals and their partners can be difficult. Frances is a multi-skilled and dynamic Counselling Psychologist with over 20 years of experience. Frances works with a range of sexual issues for individuals and their partners in trouble.